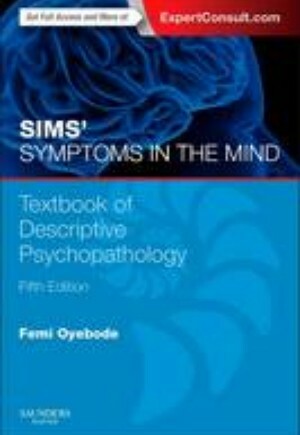 SIMS' SYMPTOMS IN THE MIND has, since its first publication in 1988, become established as the leading introductory textbook on clinical psychopathology, defining, clarifying and describing the main symptoms and syndromes of mental illness seen in clinical practice. Now fully revised and updated, it offers essential reading for psychiatric trainees and an invaluable reference for psychiatrists of all grades. It has also come to be widely appreciated by clinical psychologists, allied mental health professionals and researchers in this field.